Based on what I have seen so far, the fly larvae are only active in May. In addition to the Iowa sightings, this photo by Jason Dombroskie from Ontario appears to show the same mines, likewise in May. I was already planning to send out a plea for people to keep an eye out for these mines this month, when today a fourth Iowan, Aaron Brees, sent me photos of two examples he has found in the past week. 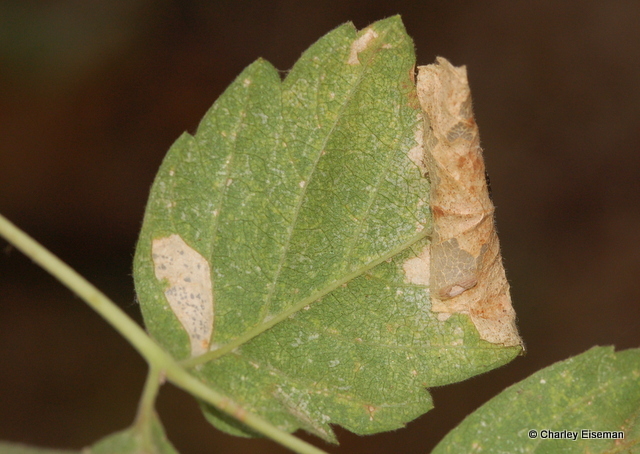 So I figured I’d better put the word out now: if there is any buckeye near you, please take a look in the next week or so and collect any linear leaf mines you find (with larvae still inside them)! 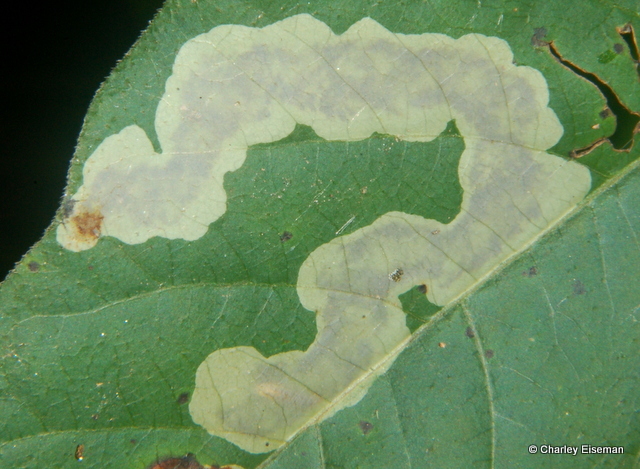 If you find any, place the leaves in a ziploc-type bag or a collecting vial right away; this will prevent the leaves from wilting, and they should last long enough for the larvae to complete their development. Then get in touch with me, and we can discuss what to do next. 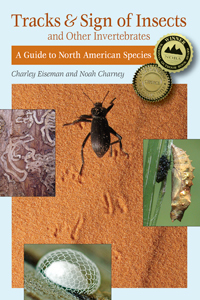 If you do go out to inspect some buckeyes, here’s something else to look for: at least two BugGuide contributors have photographed sawfly larvae in the genus Dimorphopteryx feeding on buckeye, but this is not a known host for this or any other sawfly genus. They have been found in Lousiana in mid-May, and in Ohio in late June (so they may not show up until after the agromyzid leafminers are gone). 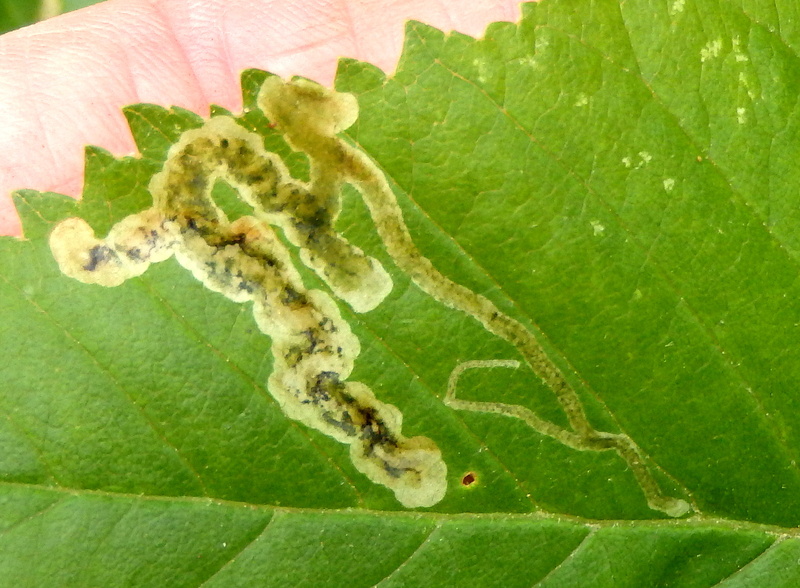 The larvae have the general look of the ones below, which were feeding on oak and chestnut. This entry was posted in Unsolved Mysteries and tagged Aesculus, Aesculus glabra, Agromyzidae, buckeye, Dimorphopteryx, larva, Ohio buckeye, sawfly, Tenthredinidae. Bookmark the permalink. 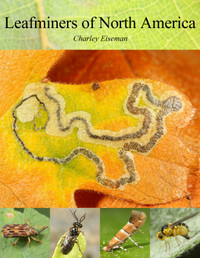 One larva seems to have a two-tone head (black and brown). Is there any significance in the head colouration? Presumably these are different species? Yes, I assume those two are different species. The ones on buckeye do not have the black “hats”.